The BackBeat Go 410 earbuds provide great noise cancelling at an affordable price. Blueototh 5.0 support promotes reliable connectivity, and if the battery dies, you can opt for wired listening. If you're an iPhone user who wants a seamless wireless audio experience but don't like AirPods, the BeatsX is a great compromise with many of the same internal bells and whistles as AirPods. 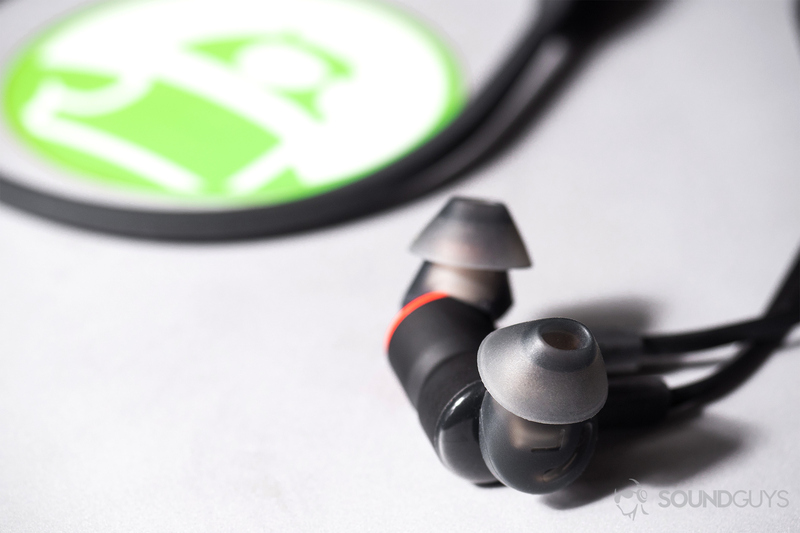 The OnePlus Bullets Wireless have a habit of being sold out. If, however, you can get your hands on a pair, it's a great deal. Neckband earbuds serve as a comfortable wireless option for listeners not yet ready to make the leap to true wireless earbuds or feel that conventional wireless earbuds are too unwieldy. There are plenty of options out there but we’ve highlighted the absolute best for athletes, iPhone users, general consumers, and more, so you can spend more time listening and less time researching. The Plantronics BackBeat Go 410 serves as an economical pair of noise cancelling neckband earbuds. 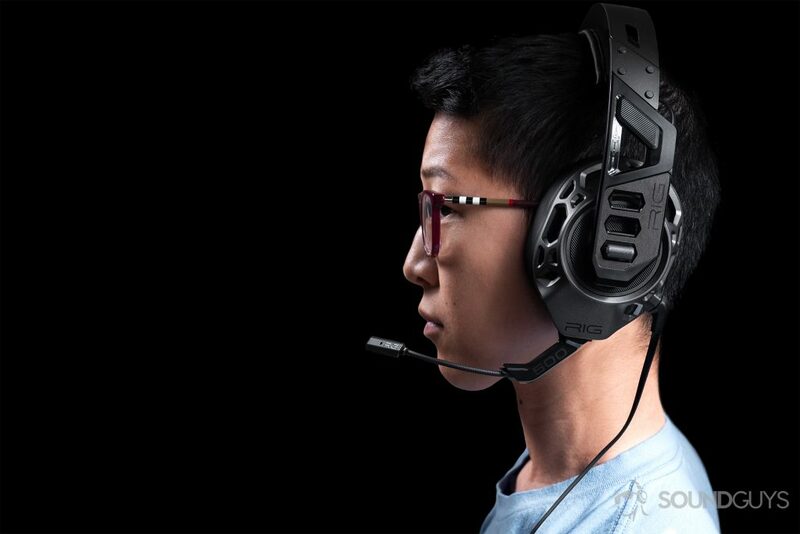 For around $120, listeners are afforded effective noise cancelling technology, a comfortable fit, and a sweat-resistant build. Automatic environmental noise detection enables the earbuds to alternate between Low Noise Mode or HIgh Noise Mode. At first, it may seem like a gimmick, but it performs well enough that I’d advise against using activating noise cancellation when exercising outdoors or walking down busy city streets. One of the most unique features of the BackBeat Go 410 is the ability to enable wired listening if the battery has been exhausted. The earbuds do allow for a constant 7.88 hours of playback before requiring a top up, but the included dual-purpose micro-USB cable is great in a pinch. It sheathes a 3.5mm plug which can be plugged directly into your phone’s headphone jack or a dongle if need be. This is a rare breed of wireless earbuds that allows for wired listening when the battery dies. These operate via Class 1 Bluetooth 5.0, allowing for a 30-meter wireless range. While connectivity is reliable, the earbuds only support the SBC Bluetooth codec. This means there is some audio-visual lag when streaming video. On the whole, these are a great buy for listeners who want minimal compromise. The proper fitting ear tips makes a marked difference in audio quality by improving isolation and bass response. Although there are plenty of high-quality Bluetooth codecs like aptX, wireless audio still can’t compete with wired listening. If you want the absolute best audio quality, you may want to look at some wired options. A good fit matters a lot. If earbuds don’t fit well, it’s a severe detriment to audio quality because you’re not properly isolated from the environment. Not all ear tips are created equally, though, which is where third-party tips can be useful. IP ratings can be confusing, and the bare minimum of what you should look out for if you plan to perform any intense exercise with any neckband earbuds is an IPX4 rating. Apple’s W1 chip shoulders much of the work that allows for a seamlessly wireless audio experience with iOS devices. If you’re not one for true wireless earbuds, then the BeatsX is an excellent choice. It affords all fo the same benefits as Apple’s AirPods, including AAC support and Class 1 Bluetooth integration. The Flex-Form cable is supremely comfortable and provides just enough friction to prevent excessive sliding when walking about. When the earbuds aren’t in use, listeners can use the magnetized earbud housings to prevent flailing cables. Microphone quality is surprisingly good, and I found that the mic easily attenuates background noise while clearly relaying my voice. Unfortunately, the weakest aspect of the BeatsX is the battery life: listeners get just 5.45 hours of constant playback before needing to charge the earbuds. Although this is manageable, we’re seeing true wireless earbuds creep into this duration, and they include charging cases for on-the-go charging. Seeing as OnePlus was one of many smartphone manufacturers to eagerly drop the headphone jack, it seems appropriate that it offers a wireless solution. The Bullets Wireless includes a dashing pair of neckband earbuds that sport magnetic housings for autoplay and pause functionality. The earbuds support aptX for perceptibly lag-free streaming and improved audio quality. What’s more, the company provides an array of ear and wing tips for a custom fit which should be comfortable for long listening sessions. While these are some of the more stylish earbuds on the list, they’re not necessarily the most durable. OnePlus states, “you can take them for a run but not a swim!” However, there’s not official IP rating and the paperwork explicitly states that liquid damage isn’t covered under the warranty. If you’re here for workout earbuds, the next pick will be more appropriate. The best option among neckband earbuds for >athletes is the Sport Flex Wireless. JBL and Under Armour partnered to create this tough product, which is sports a sweat-resistant nano-coating and durable, yet flexible neckband. What’s more, the Sport Flex Wireless supports quick charging whereby five minutes of charging affords one hour of playback. If you couldn’t tell by the name and look of the earbuds, the emphatically emphasized low-end screams workout earbuds. While this may be overwhelming for casual listening, it’s ideal for exercising when you need a strong beat to carry you through an arduous workout. These aren’t just for gym rats, though. On the back of the neckband is a RunSafe LED to improve nighttime visibility for those who run outdoors. For less than $75, these workout earbuds are a high-value, durable pick. Sometimes all that’s needed is a pair of cheap earbuds that work. Nothing fancy. Well, the SoundPeats Engine is affordable and includes many of the bells and whistles that higher-caliber options include. For instance, these operate via Bluetooth 5.0, support aptX and aptX LL, and sport an IPX6 water-resistant build. All of this is rolled into a sub-$30 package. Just like others listed, these earbuds are outfitted with magnetic housings to manage the earbuds when not in use. Additionally, the angled nozzles protruding from the housings allow for an ergonomic fit, which should remain comfortable for extended periods of time well beyond an hour. Sound quality isn’t the best. However, if you take into account the price and feature set, it’s still good. Clarity is lacking because bass frequencies mask midrange frequencies. Still though, for $30, listeners are awarded with an excellent deal. We performed hands-on tests for each of our picks including battery life, frequency response, and isolation. Aside from objective testing, though, we contextualized the price of each product and considered that with its given features. While we understand that our picks may not please everyone, we feel they’ll please most listeners. If we missed one of your favorite earbuds, be sure to leave a comment below as this list is a living document that we regularly update. RHA MA390 Wireless: These go head-to-head with the SoundPeats Engine for the best value neckband earbuds. Although they’re still a great value, they’re nearly double the price of the Engine, making them a worthy runner up with better sound and build quality. Sennheiser HD-1 In-Ear: If you like the idea of fashion-forward earbuds and want something more premium than the OnePlus Bullets Wireless, this is a smart pick that supports AAC and aptX. House of Marley Uplift 2 Wireless: Environmentalists may be drawn to these earbuds constructed from recycled materials. We directly test as many products as we can so you don’t have to. SoundGuys aims to inform and educate its readers as much as possible. From providing information relevant to a given best list to improving your understanding of audio science, we aim to make audio an accessible topic for our readers. While this site does operate on referral links, no writers may benefit from highlighting one product over another. We want you to be happy with your purchase if you do make one, and if not, we want you to close out of this table feeling like you’ve learned a thing or two about the inner workings of audio.